Messe Frankfurt will award the Texprocess Innovation Award for outstanding new developments and advances for the fourth time on the occasion of Texprocess, Leading International Trade Fair for Processing Textile and Flexible Materials (9 to 12 May 2017). Entries are now possible and will be accepted at www.texprocess-award.com until the deadline, 20 February 2017. The competition is open to exhibitors of Texprocess 2017, as well as all non-participating companies, institutes, universities, universities of applied sciences and individuals. Conditions: the developments submitted should not have been available on the market for more than two years or be on the threshold of being launched. Additionally, they may not have been selected for any other award. The winners will be presented with their award during the Texprocess opening ceremony in ‘Saal Europa’ (Hall 4.0) on 9 May 2017. At the same time, all award-winning products will be on show at a special exhibition in Hall 4.0. Concurrently, the 14th Techtextil Innovation Award will be presented at Techtextil, International Trade Fair for Technical Textiles and Nonwovens. 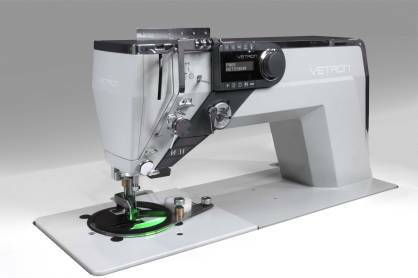 Pic: Vetron Autoseam, a sewing machine that can produce three-dimensional components without an operator, has been one of the 2015 winners.